Crossbreed Holsters is known for quality craftsmanship of its line of holsters. 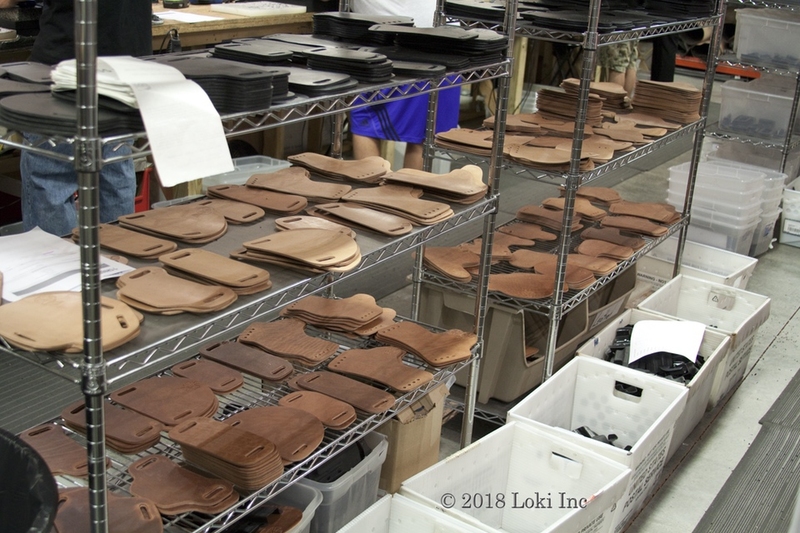 We took a little tour and met the craftsmen and team that runs the engine that is one of this country’s finest holster makers. All photos by Jason Baird. 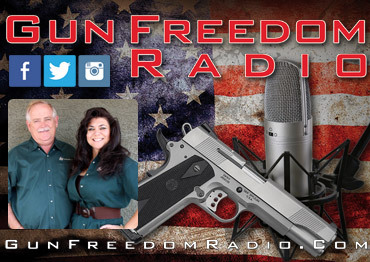 It started with a vision, by Crossbreed Holster’s founder Mark Craighead. In 2005, Mark, an avid shooter, decided he wanted to design a concealed-carry holster that worked for him. His wife, Carol Craighead, now CEO of the company, recalled having holster pockets baking in her kitchen oven. 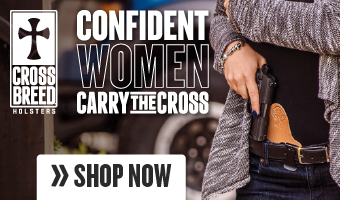 The holster line evolved into a nationally renowned company that today is recognized for great quality concealed carry holsters, with a lifetime guarantee. To everyone’s shock, Mark died unexpectedly in 2012, leaving his legacy. 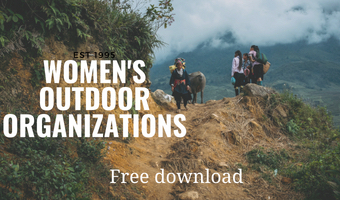 Carol consequently has worked through grief and learned the ropes of running a company — because she, too, believes in Mark’s mission. 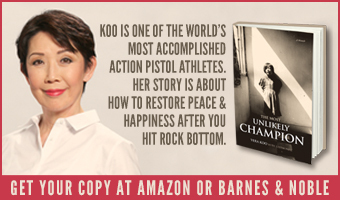 She has surrounded herself with a team that also believes in the mission. 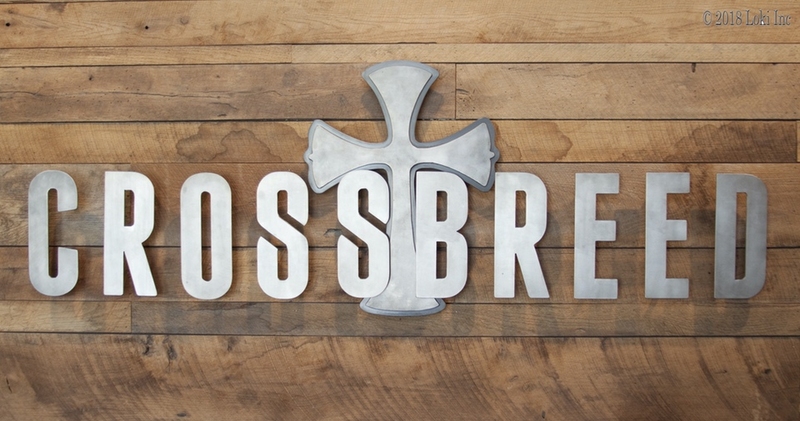 This is a photo of the Crossbreed sign in the lobby of its facility in Springfield, Missouri. 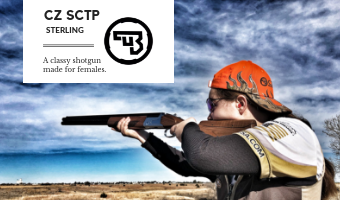 Not only has Carol Craighead been the team leader at Crossbreed since her husband’s death, she also has been training in personal defense shooting skills, so she can walk the walk. 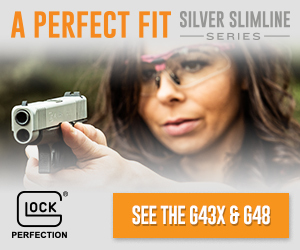 In this photo, she is showing us the various details in the Kydex pocket has been reworked for a particular firearm. “If you don’t work it, you won’t get that snap and full definition that want,” said Carol. 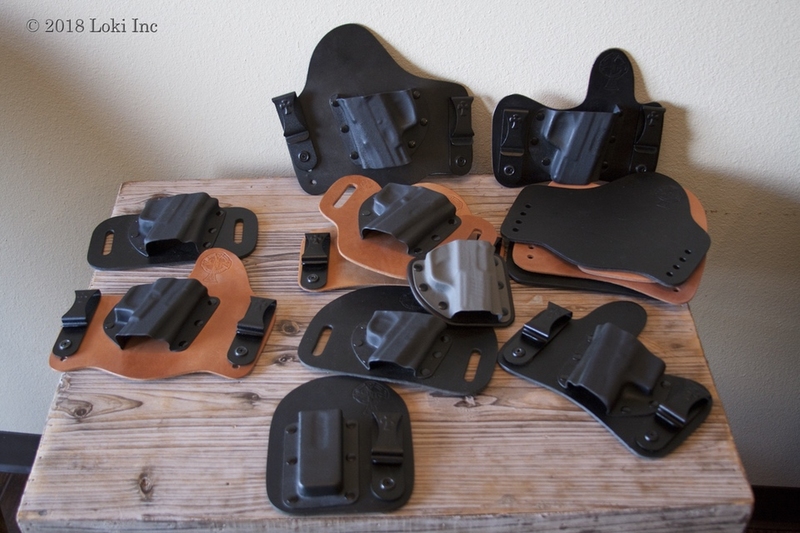 In the lobby of Crossbreed Holsters, several types of holsters from the line sit on display. These are a few of the thousands of variations available. All items are custom-orders and are made in the order received. The pockets are made from Kydex, heated and pressed . 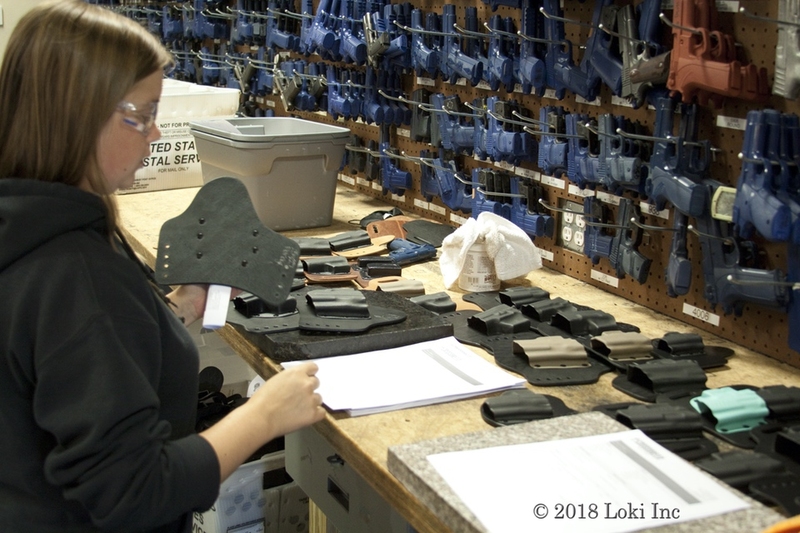 After this step, the initial press, the holster makers take control of each ordered item and it’s all handwork from this point on. 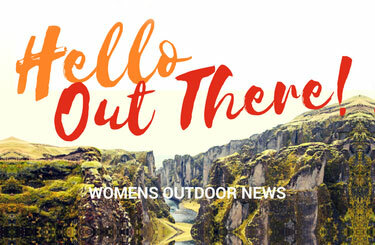 Carol reckoned it takes, on average, about 4 months for a holster maker to learn the craft and get up to speed. 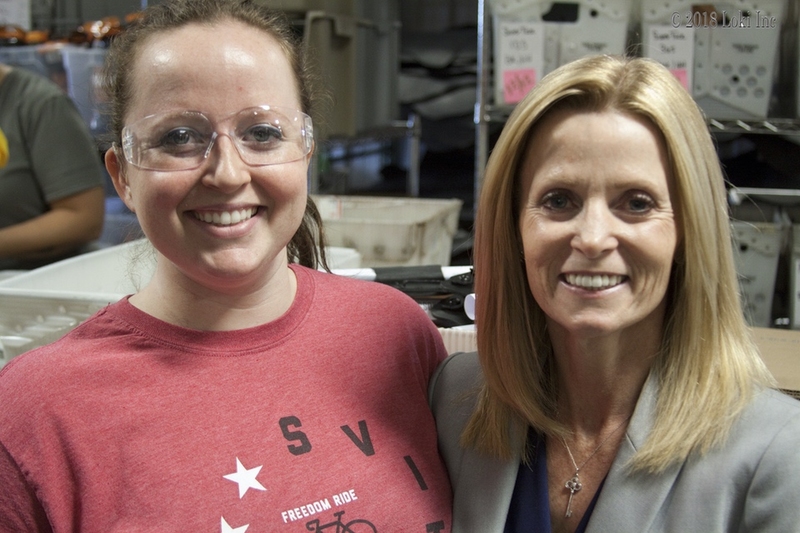 “We have NDAs with all firearms makers, because we try to be first to market,” said Carol. 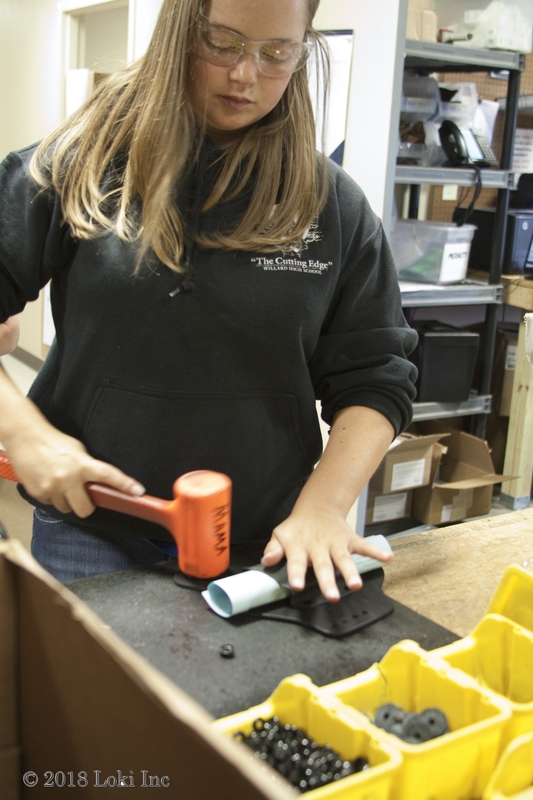 “If there’s not a holster available for your gun, people can’t carry it.” The company makes molds from the guns (blue guns) and if they haven’t made a mold, they’ll be one of the first to buy one. Of course, Crossbreed will remove the firing pins from all guns used as pattern makers. 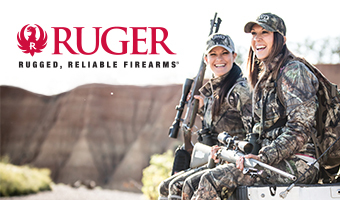 “The firearm companies are wonderful to work with as a whole,” said Carol. “The great thing about it being a hand-made process, it they’re all a little different,” said Carol. 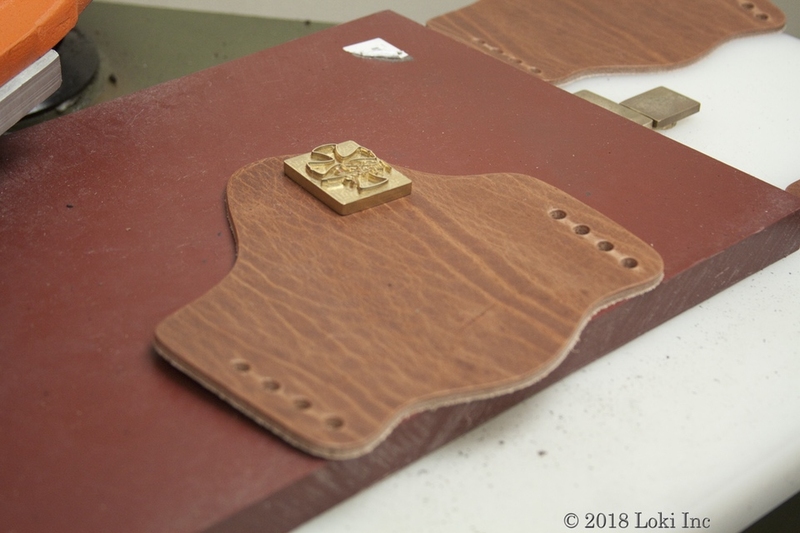 At this point, the Kydex pocket is being affixed to the leather. 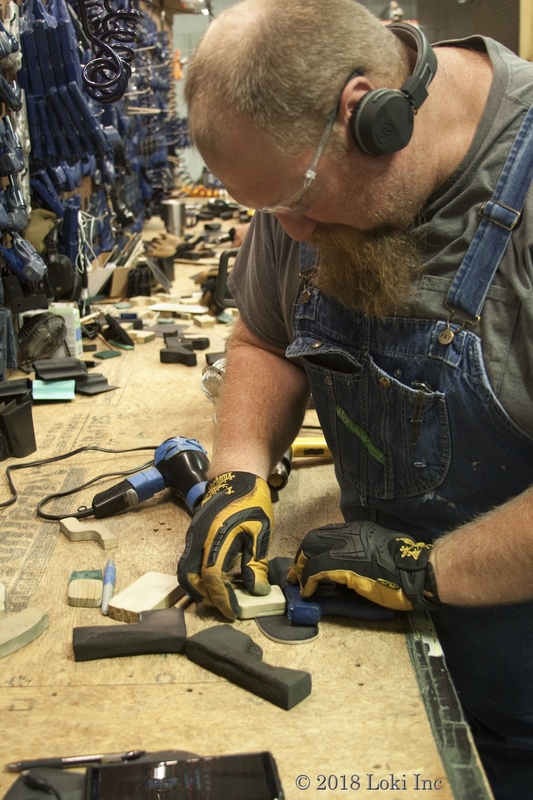 Crossbreed’s Dustin, who is a holster maker and production supervisor, has been with the company the longest — 11 years. He said that the company makes a 3:1 or 4:1 ration of inside-the-waistband (IWB) to outside-the-waistband holsters. The IWB method is more popular for the company’s line. 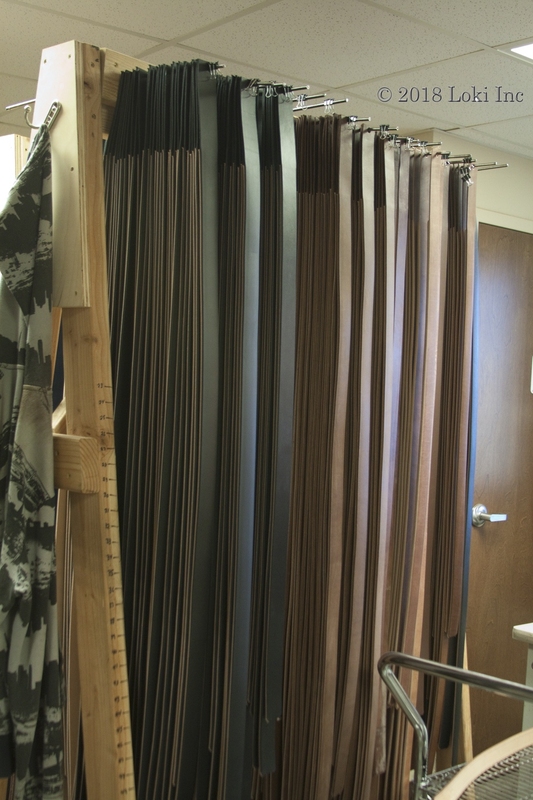 These pieces of leather have been cut and are ready to be used on the day’s orders. 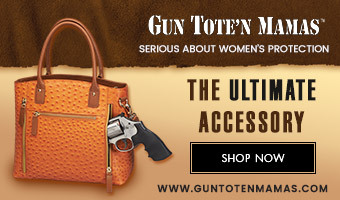 “We have 3 different types of leather now — the black cowhide, the horsehide and our Founder’s Series, which is a little bit higher end and Old World style,” said Carol. You can see the various types of leather, from the top down: black cowhide, horsehide and the Founder’s Series. 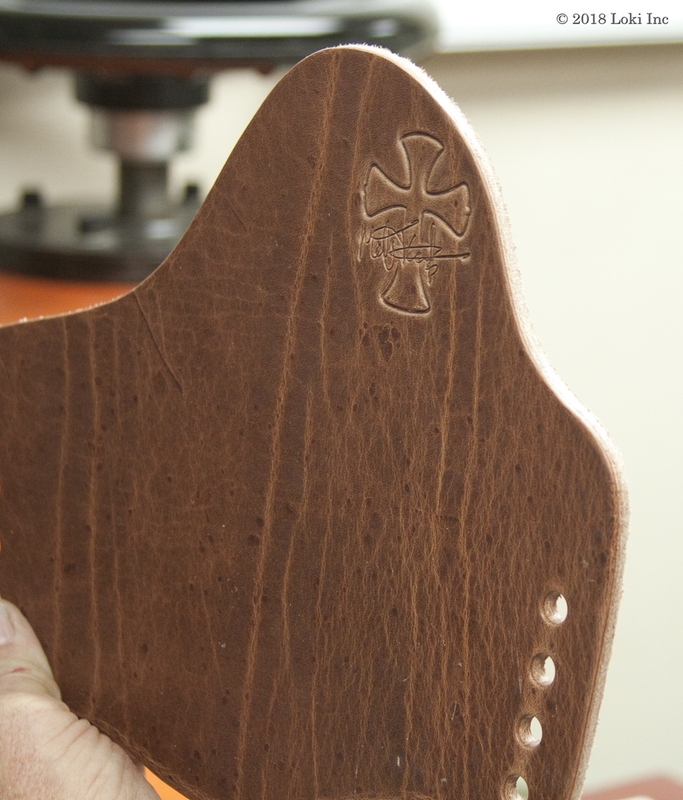 The holster makers will pick up a tub, pull the order, find the correct pocket, style of leather and option. The leather pile gets restocked several times during the day. “Some of them are picky, and they will make sure that the leather is of good quality,” said Carol. Note: Check out this leather-specific article on Crossbreed’s offerings. More leather, waiting for the brand. “You’d think it would last a long time, but it doesn’t,” said Carol. 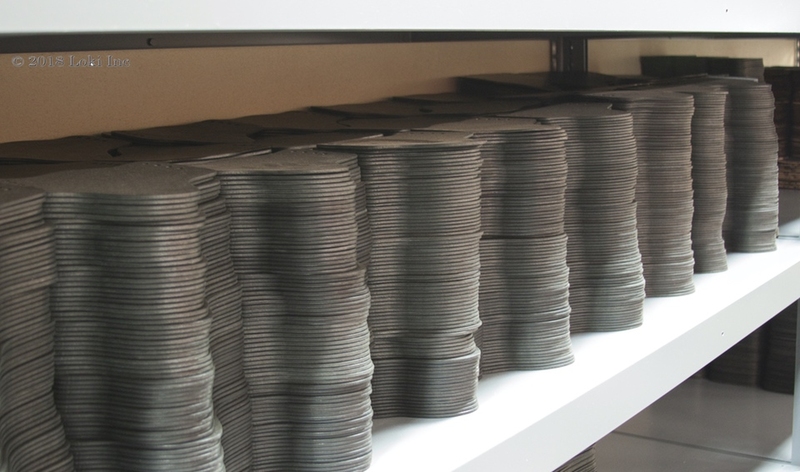 Crossbreed cuts all the horsehide and Founder’s Series backings. The others are done offsite and shipped in. Preparing the lovely horsehide, after punching the holes in it, for the official Crossbreed brand. The finished Founder’s Series’ backing with brand and Mark Craighead signature. 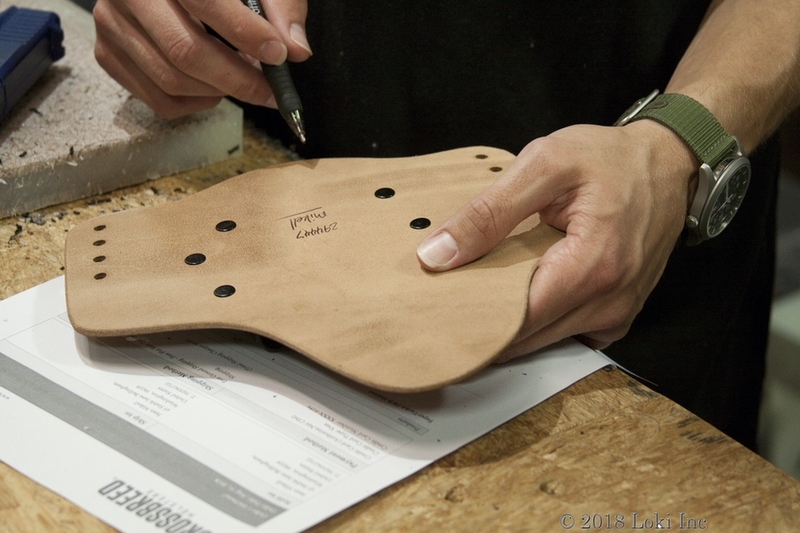 Every holster gets its maker’s signature on the back. 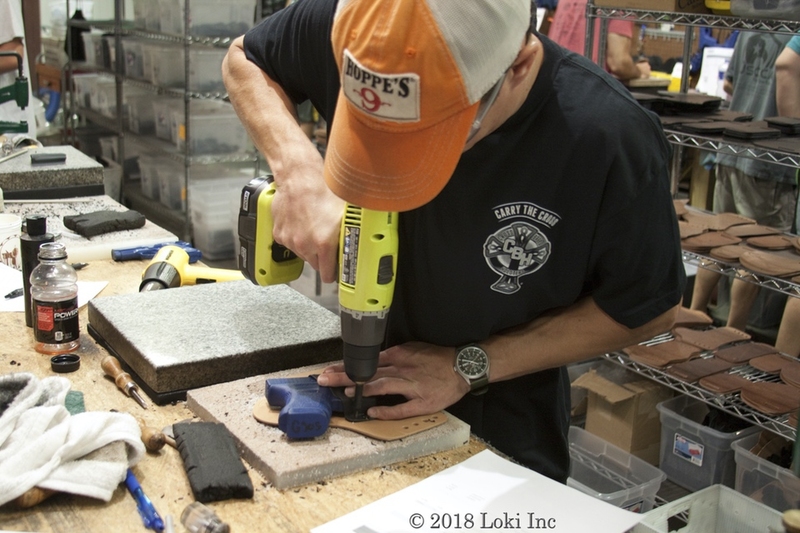 That way, not only can you see who made your holster, but if it has to be returned, the company can work with the holster maker. Filling orders at the company. Check the line of blue guns and samples on the wall. There are even more than this onsite. Carol and her daughter, Tori, onsite. Tori is an accountant and helps with the shipping department. Filling orders. Notice all the blue guns and sample firearms on the wall. 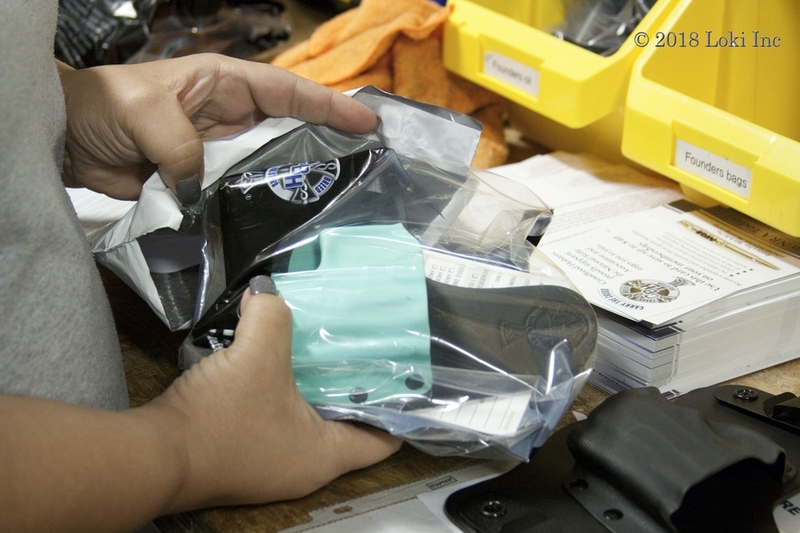 After a holster is completed, it gets packaged and shipped. All standard Crossbreed products come with a 2-week trial offer. 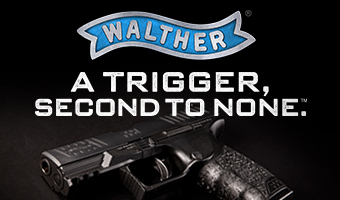 Holsters carry a lifetime warranty, except it does not include belly bands and ankle holsters. Crossbreed’s gun belts come in several leather choices, belt buckle choices and designs — from Western to Classic. 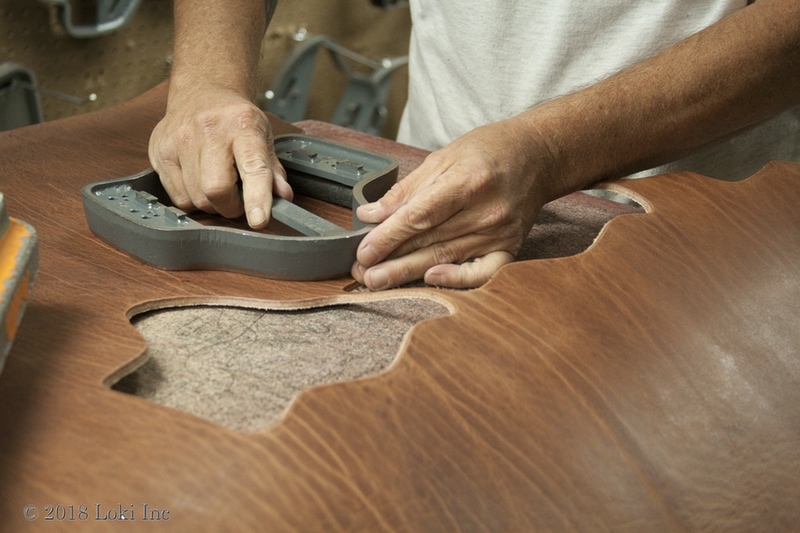 Other than a few trips to the sewing machine, all other work is done by hand by leather craftsmen. 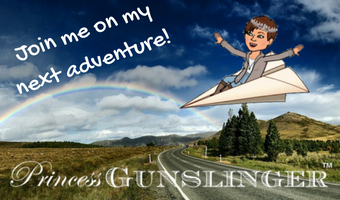 Check out my new Crossbreed combo, of a gun belt and holster for my new Remington R1. The holster is from the Designer’s Series SnapSlide OWB holster line, and retails starting at $54.95. 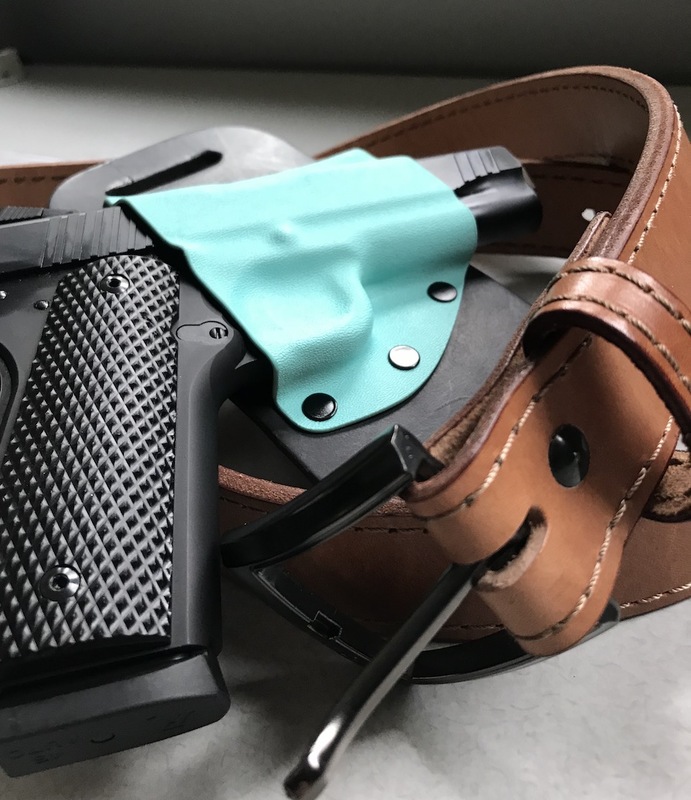 Colors include the pictured Tiffany blue, along with FDE, Sniper Grey and OD Green.